Kaushik Sengupta. Photo by David Kelly Crow. Credit: princeton.edu. An Indian American professor at the Princeton University has won the prestigious Bell Labs Prize 2017 for his invention that could revolutionize wireless communications. Kaushik Sengupta, Assistant Professor in Electrical Engineering at Princeton University, has won the award for his invention of a radical new transceiver chip technology that could power a truly universal software-defined reconfigurable radio, announced Nokia Bell Labs on December 13. The invention will improve today’s wireless communications and open the door for new applications currently unapproachable because of their size or cost requirements. 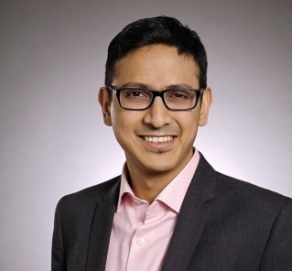 Sengupta will receive $100,000 worth cash prize and will be given the opportunity to work in collaboration with the researchers at Nokia Bell Labs to further improve their ideas. A graduate in Electronics and Electrical Communication Engineering from Indian Institute of Technology, Sengupta holds MS in Electrical Engineering from California Institute of Technology and a Ph.D. from California Institute of Technology. “Each year the Bell Labs Prize produces a set of outstanding innovations that have the potential to solve critical problems confronting humanity. This year was no exception and produced one of the finest groups of finalists we have seen, with each of the nine having the potential to profoundly disrupt and enhance the technology or solution domain they were addressing,” said Marcus Weldon, president of Nokia Bell Labs & Nokia CTO. “It was a difficult decision, but the judges were unanimous in their support for the three winners, based on the novelty of the work and the disruptive potential. We look forward to continuing to work with all of these rising stars to help make their vision a reality,” he added. This year’s competition attracted more than 330 proposals from 35 countries, which were narrowed down to around 20 semifinal applications shortlisted for collaboration with Bell Labs researchers over a two-month period. These refined semifinal proposals were then reviewed by the Bell Labs leadership team and the nine finalists selected, with each finalist having the chance to extend their collaboration with leading researchers at Bell Labs. Nokia Bell Labs is the world-renowned industrial research arm of Nokia. The research in Bell Labs have resulted in 8 Nobel Prizes, two Turing Awards, three Japan Prizes, a plethora of National Medals of Science and Engineering, as well as an Oscar, two Grammys and an Emmy award for technical innovation.